Many people leave their homes or known environment to unknown territories to escape the ill-effects of war, natural disasters, or other issues. The vulnerable refugees need the love and warmth to feel safe and secure in the new environment. A welcome blanket of supreme quality can make them feel safe. The Refugee blankets manufactured by us are suitable for the purpose as we provide blankets of different sizes to provide warmth to the affected people that will meet the specific requirement. The blankets designed under the vigilant eye of skilled designers are customized to meet the diverse needs of our clients. We have wide range of options include refugee low thermal blankets, refugee medium thermal blankets, refugee high thermal blankets, refugee UNHCR blankets, refugee UNICEF blankets, refugee MSF blankets, refugee IFRC blankets, refugee American red cross blankets and much more. These are suitable for matching the requirements of adverse situations. These blankets are available for both hot and cold climatic conditions. We keep the stocks of such products and ensure delivery or dispatch throughout the year. We provide wide range and options of such products and these are designed with excellent fiber and wool. Our products are best suited for adverse situations like natural calamities. You can look for different sizes and colors options at Mahavir Blankets. These lightweight blankets work excellently and offer comfort and warmth in all sort of climatic conditions. We have team of designers who have expertise in processing, weaving and spinning. With the years of experience and satisfied customers, we can feel pride in offering such products and services. If you have any query regarding our products and delivery mode, you can connect with us. We would be happy to assist you. We are here to be the part of noble acts that national and international NGOs do for the victims of natural calamities. 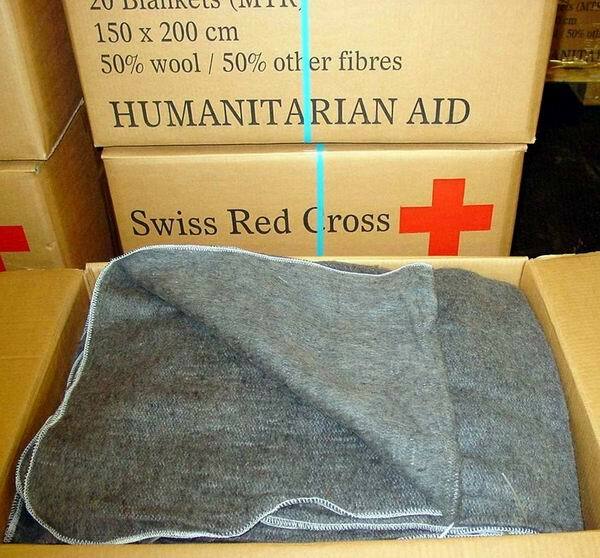 These Refugee Low Thermal Blankets are well suitable for meeting the demands of adverse conditions, Low Thermal Blankets are manufactured from light weight fabrics in wool , cotton or polyester which are very economically priced for massive relief operations in hot and moderate climates and are very popular .